Fotor is a powerful yet easy-to-use photo editing and graphic design platform. The photo editing features a ‘collage’ and ‘edit’ feature, utilizing exclusive technology to bring an unprecedented level of editing control to everyone. Fotor offers templates ranging from invitation cards, posters, social media covers and much more. 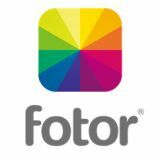 Fotor’s world famous collage maker not only provides you hundreds of template styles for you to make photo collages online, but also to complete with exclusive filters, texts and stickers. Our graphic designs come in over 19 preset sizes of templates, ranging from Facebook covers, posters, greeting cards, and a variety of specialized marketing designs. You could now create awesome visual content for your own social media pages; from promoting a business to creating a YouTube banner. All designing can be done in the browser and without complicated downloads. Please note, the service license is valid till December 30, 2016!